Kenneth Wayne Fields obituary. Carnes Funeral Home. Oct 26, 2012 Mike and Family, the passing of Kenneth makes us take time to pause and reflect on the true value we place on life. I pray that you and the family can take time to grieve yet find comfort thru your collective strength. Know that your PVAMU family is here for you are well. 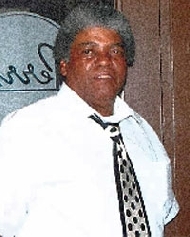 Kenneth Wayne Fields Sr., 60, following a lengthy illness transitioned to everlasting life October 20, 2012 surrounded by family and friends. Ken professed his belief in Christ at an early age while attending St. John Missionary Baptist Church, Galveston Texas. He attended Galveston public schools and was employed with the Galveston Parks Board until his illness. Ken is preceded in death by his father Archie (Babby) Fields Jr. He leaves to cherish his memories a devoted wife Shirley ; caring mother Ora Fields; sisters: Pamela Jefferson Fields(Edward), Janice Fields Williams (Larry) and Doris J. Clark; brothers: Archie III and Michael S. Fields ( Janet) and; sons: Kevin (Danielle), Kenneth Jr. and Roesean Fields (Angela); stepchildren: Angel Mitchell (Irving), Felecia (Cliff), Theresa, Alvin and Andre Lee; loving aunt/mother LaVerne Jones; special brother Lawrence LaDay; aunts: Sharon Sardinea, Marilyn Lacy , JoAnn, Phoebe and Brenda Fields; uncles: Jimmy Fields, Cedo Jr. (Willie Mae), Andrew (Gertrude) and Nelson Sardinea; six grandchildren and a host of nieces, nephews, cousins and friends. Funeral services will be held at 12: 30 p.m. Saturday, October 27, 2012 at Carnes Funeral Home in Texas City with Pastor Louis Simpson officiating. Visitation will be one hour prior to the funeral service.